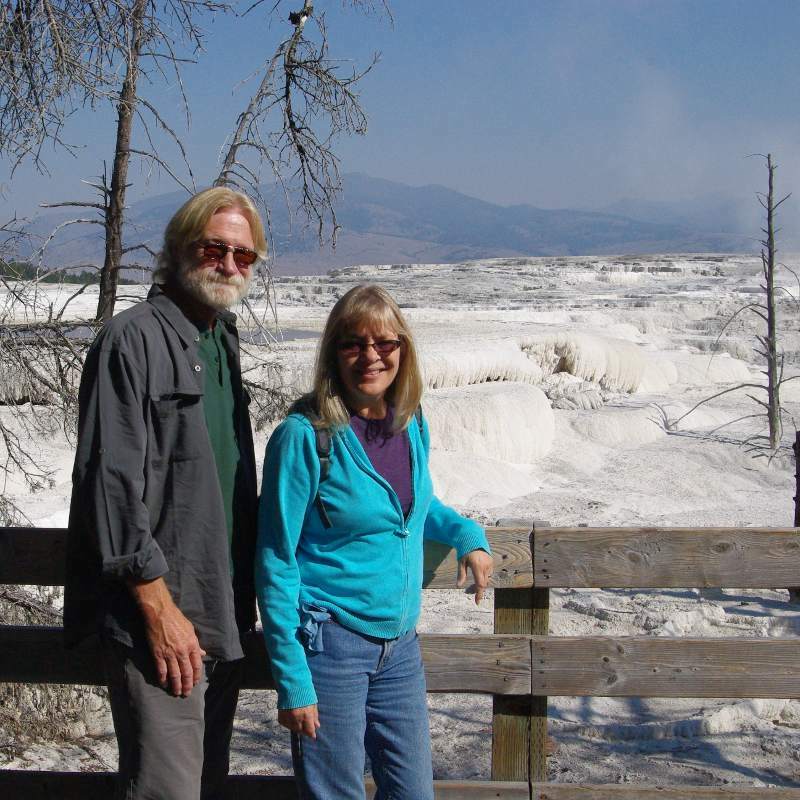 Cousin Rhonda and her husband George visited from Oregon so we made a long day trip to Yellowstone, where we took the obligatory picture of Canary Spring. Not much has been changed here in the past few years but our past visits have documented the modifications needed to maintain the walkway: 2011, 2009, 2007, 2007, 2006, 2006, and 2005. Although the trip down was smoky and we did actually see flames of one fire, the skies in Yellowstone were clear.